January Monthly Organizing Challenge: Link Party Recap! We love to party and try to do it every month or two. It is especially fun when it comes time to celebrate you! I always recommend taking time to sneak a peek at all of the link party goodness, but for those with limited time, I thought I would give you a glimpse at some of the organizational eye candy. 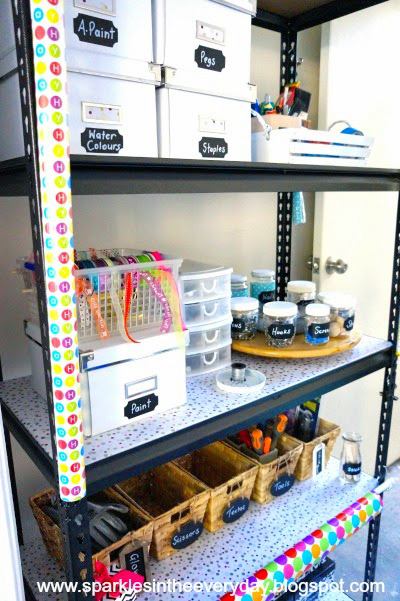 I have a feeling some of you will be cleaning out cabinets, grabbing the paint brush and maybe even building something new after checking out all of these projects! No better time to do it; let’s create fresh spaces for a fresh new year! I always love when people create something super functional out of something common. A little tweaking and Barb made a simple industrial shelf into a super fabulous craft corner. 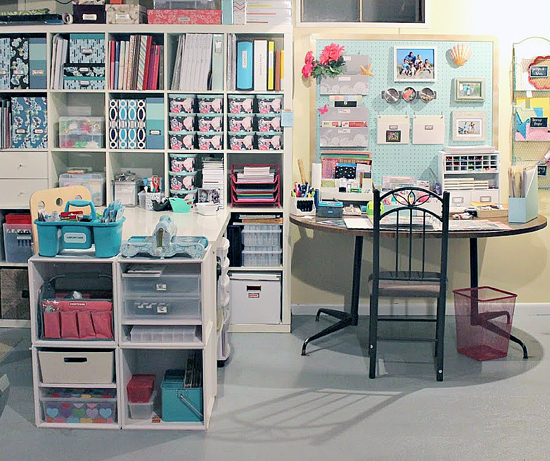 Looking for more craft storage inspiration? 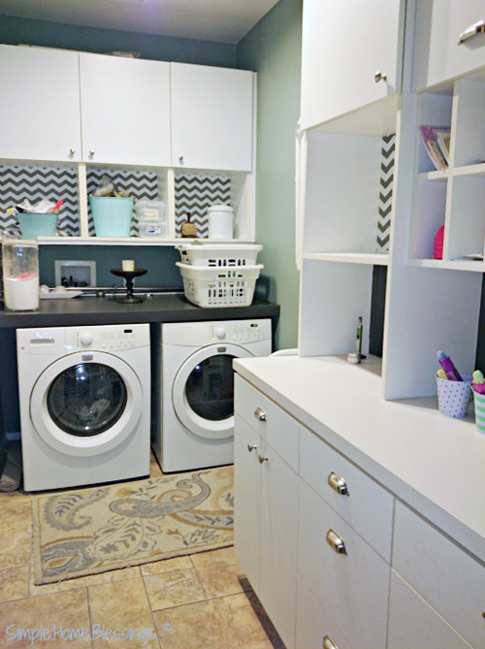 Ashley made the most of an area in her basement, and it is simply delightful and full of storage galore! 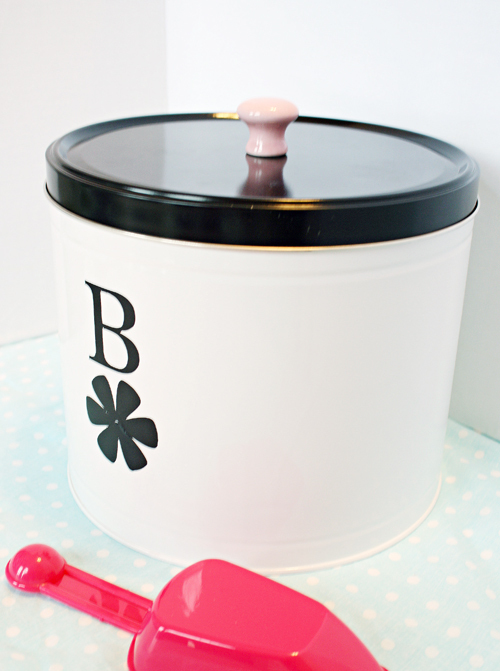 Popcorn container turned adorable puppy food storage? Yes please! Way to go Kristin, it turned out darling! I have a great post for you to put in your pocket (or pin to your Pinterest board) for next year. 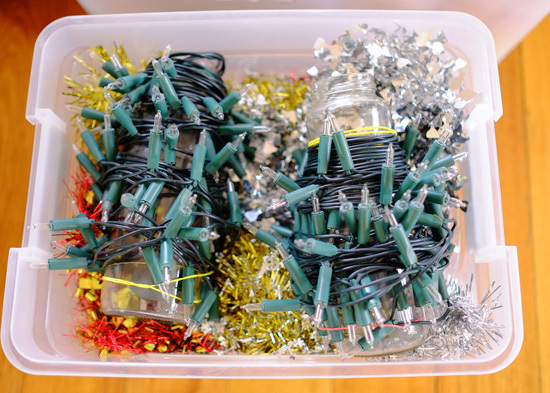 Check out Jo’s super simple tips for putting away Christmas gear. And although Christmas is packed up, what does one do with all of those holiday greeting cards filled with familiar grinning faces? 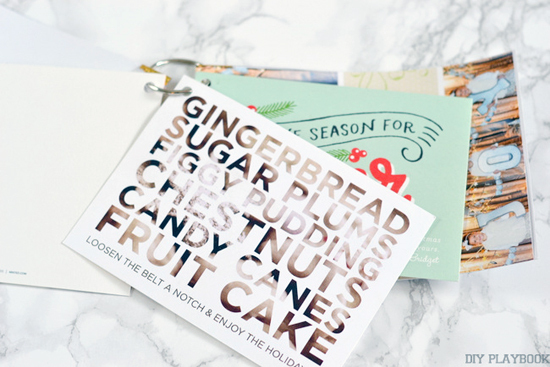 My favorite DIY duo shared their solution for holding on to annual memories in a simple way. 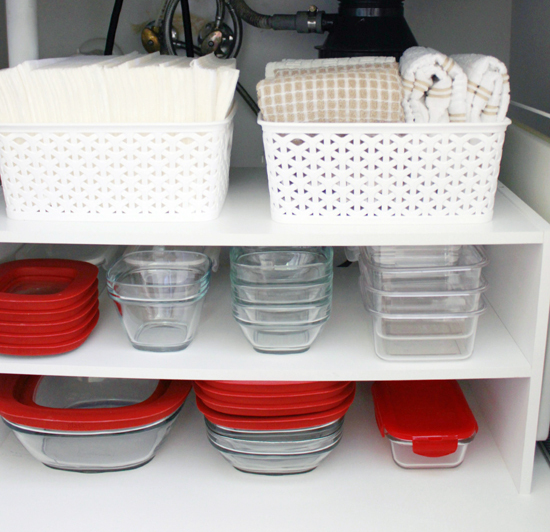 People looove the industrial shelving trend (as they should) and Haeley shared her tips for whipping up something wonderful. 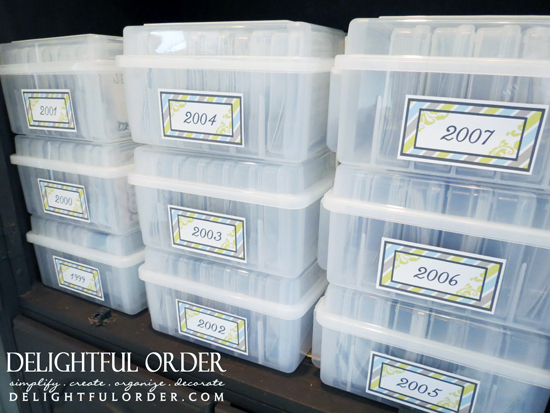 Organizing is always a learning process, and the more you organize, the more you figure out what works best and what will save you time and money the next time around. I always enjoy reading these tips and stories from fellow organizing pals; Melissa shared 7 things she has learned during her home organizing journey. Who would have thought to add a shoe rack under the kitchen sink? Maria, that is who! And it is brilliant! 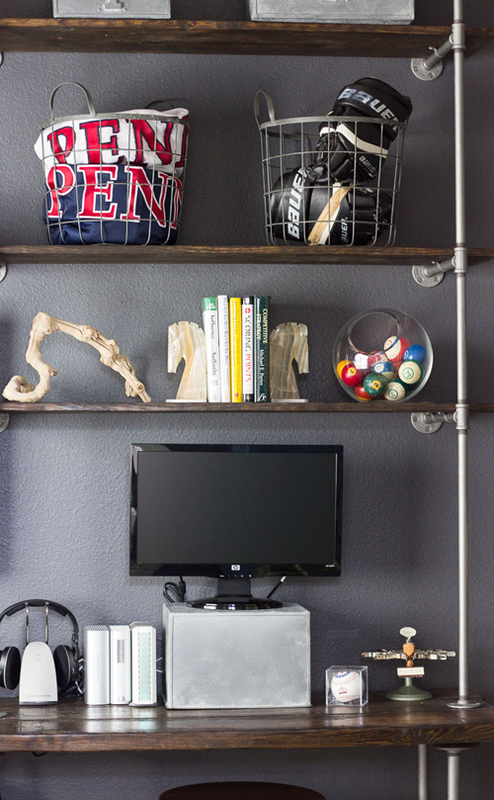 So are her other tips for maximizing the awkward space. 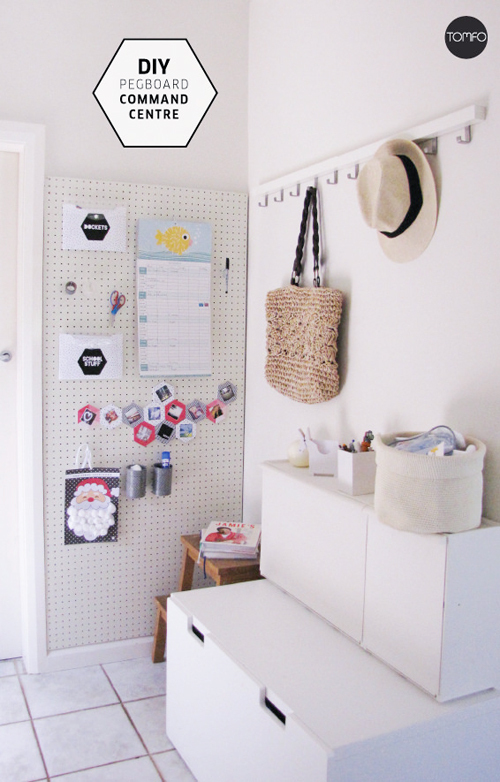 I challenge you to have a pegboard party in the entryway! Or anywhere really since they are always a organizing win! That is what Sarah did and I like it, I like it a lot! It is always great when we can get photos off of our computers and phones and create printed versions of our memories. But what is the best way to organize all of those prints? DaNita shared her system, complete with perfectly organized cases. P.S. I have also used similar cases for photos in the past and I lovity love them! I have always preached that a happy workspace is a productive workspace. 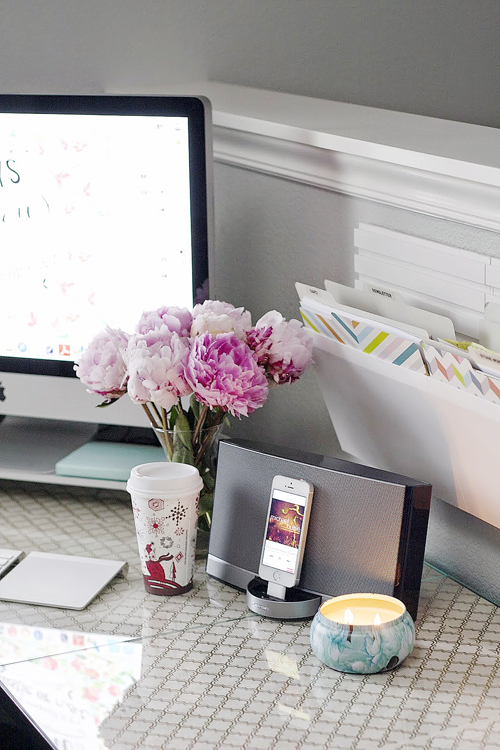 My gal pal Samantha agrees, and even shared her favorite tips for staying productive while working from home or at the office. Could you purge 2,000 items from your home? Sounds challenging right? That is a lot of items. But you may be just as surprised as Leah was when she started the challenge with her laundry room. Such an inspiring before and after story she shared! Command center’s are like pantries. I have seen hundreds, yet could still get lost looking at more and more. 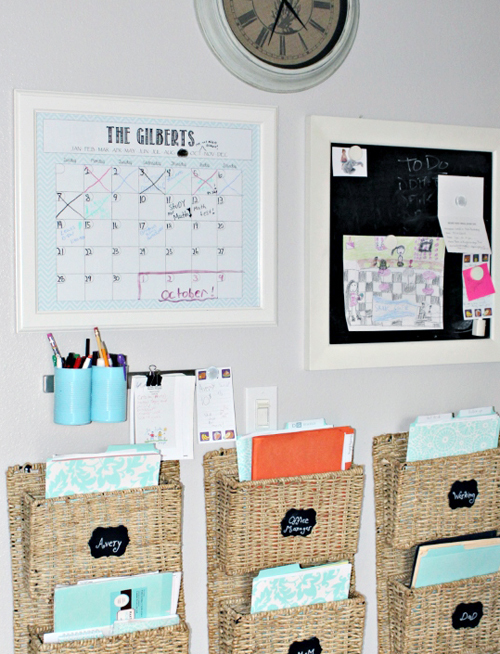 Kara did a lovely job putting hers together, those woven basket wall bins make my heart sing. 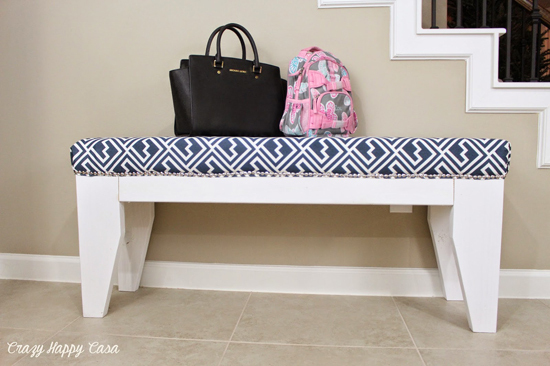 Benches are an entryway essential. Great for providing a place to sit while putting on shoes, also a great place to store shoes and bags beneath. Marite shared her DIY version, and the fabric paired with the nailhead trim looks oh-so-welcoming! Once again, real projects done by real talented and creative folks. I truly appreciate that you all put so much passion in all you do and that you take the time to share and link up during the link party challenges! Your inspiration is endless and I always feel invigorated after spending hours reading your stories and checking out your projects. 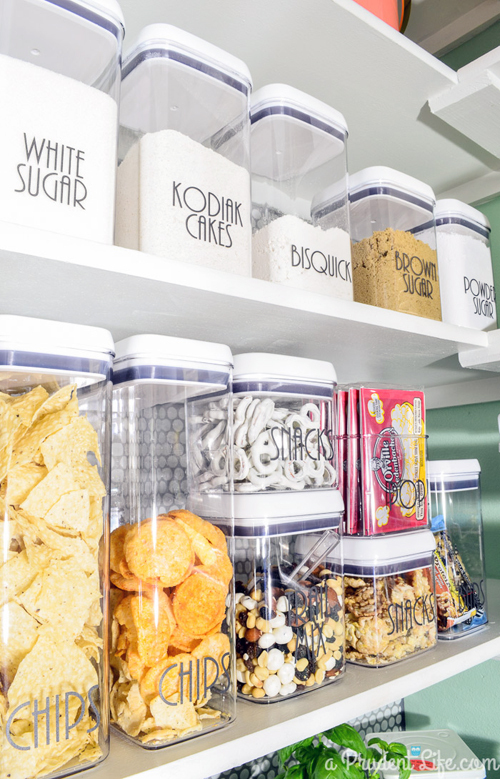 This is only a piece of the awesome pie, find many more ideas and storage solutions here. IHeart Fridge Coasters & a GIVEAWAY!